We are all called to be stewards of God’s creation: people, properties and even money. These are not our own but have only been entrusted to us by the One who owns everything. But what happens if during the course of our journey here on earth, we get blinded by wealth and use it not to further the Kingdom of God but for our own selfish desires? In one of His parables, Jesus Christ shows what happens to a man, in this case a manager, whose heart’s desire was to take care of his own well-being. Because the owner is about to fire him for mismanagement, the manager decides to reduce the debts owed by debtors so that when he is out of the job, they would welcome him into their homes. “The manager said to himself, ‘What shall I do now? My master is taking away my job. I’m not strong enough to dig, and I’m ashamed to beg. I know what I’ll do so that, when I lose my job here, people will welcome me into their houses.’” (Luke 16: 3-4, NIV). At first glance, we would think that the story is all about the unjust steward and the amount of wealth he has been entrusted. True, having money is not a sin in itself, but the Bible warns us that the love of money is a root of all evil and this is where the story of the steward starts. He uses his money—and his power—to do some unrighteous acts such as lowering the debts people owed them for his own benefit. Interestingly, we find that he does not own the money but only manages it and even had the gall to do what he wants with it. Imagine what we will feel if a friend did whatever he wanted with the money that we gave him for safekeeping? The principle that Jesus wants to teach here is more of being just than unjust—of what Jesus wants His followers to do. Once we know that we don’t own anything, we begin to have a mindset of generosity, of humility and of willingness to share our own blessings; not just tithing but giving generously to the poor and the needy and those who don’t have much in life. Jesus goes on to explain this parable further in Luke 16:10, NIV, “Whoever can be trusted with very little can also be trusted with much, and whoever is dishonest with very little will also be dishonest with much. So if you have not been trustworthy in handling worldly wealth, who will trust you with true riches? And if you have not been trustworthy with someone else’s property, who will give you property of your own?” The true riches here is all about being a good steward and being responsible in furthering the Kingdom of God. Here are a couple of questions to think about: Are we using the wealth that God has given us for His agenda or for our own? Are we being just or unjust? 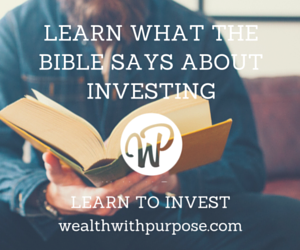 The Bible warns us that the love of money is a root of all evil and this is where the story of the steward starts. What does true generosity looks like? Most of us naturally tend to think that they are reasonably generous. In fact I’m yet to meet anyone that says, “Hey I’m really stingy!”. But are we really generous?